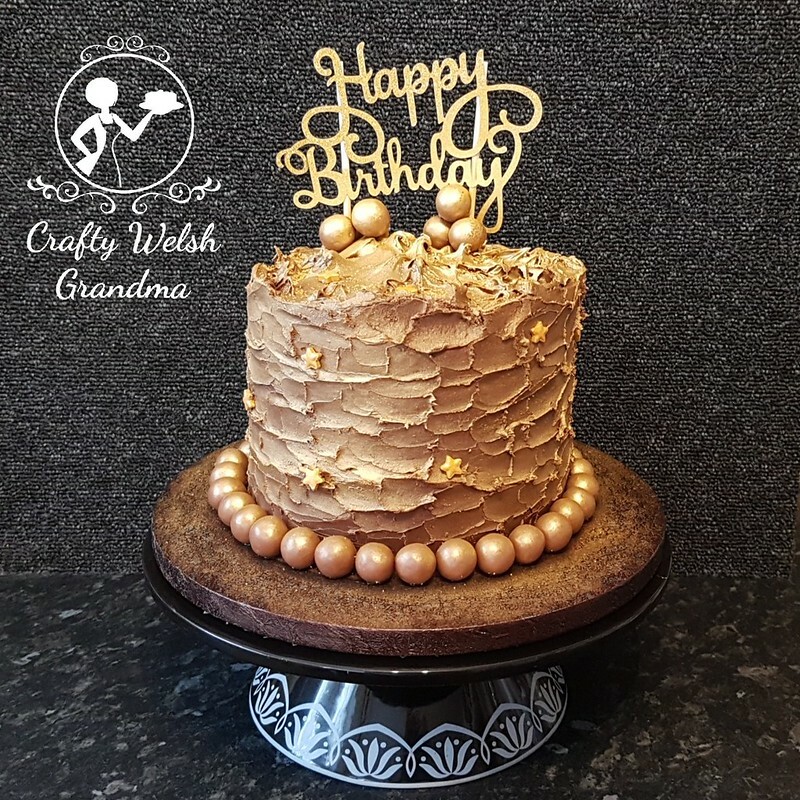 If you love chocolate, as the recipient of this one says they do, then this Chocolate Utopia blog entry is for you! 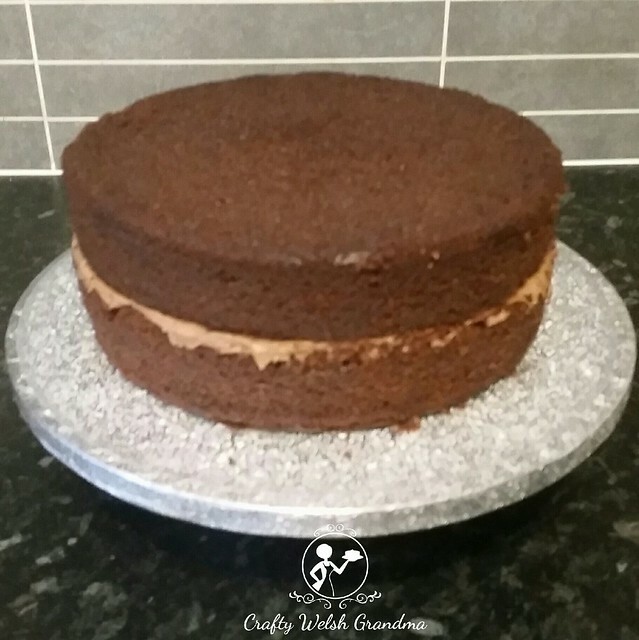 It's quite a simple cake to make and does not require everything to be perfectly smooth. 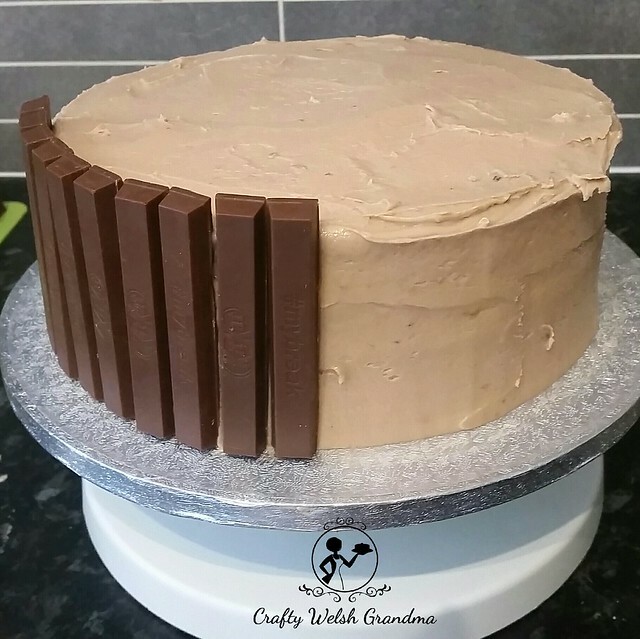 It starts with a double chocolate chip sponge, sandwiched together with Mars Bar ganache. Because I needed the ganache thicker than this one was when it had cooled, I added some icing sugar to thicken it up. Once this had set, the sponge was first crumb coated with Mars Bar frosting, then chilled. Once chilled, it was given it's top coat. 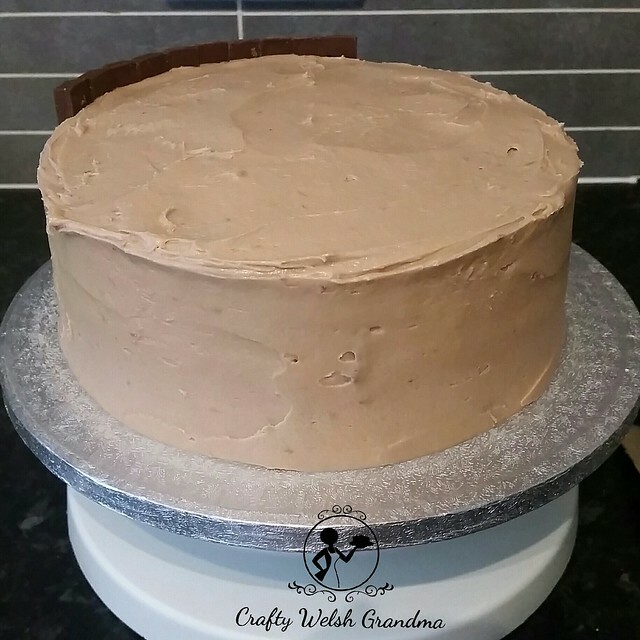 I found the recipe not quite chocolatey / Mars-ey enough, so I added a few drops of caramel flavouring to take away the sweetness of the icing sugar, which I found was a little overpowering. Now, because this cake was not going to have any fondant to cover it, it didn't matter that the top coat of buttercream / frosting wasn't perfectly smooth. 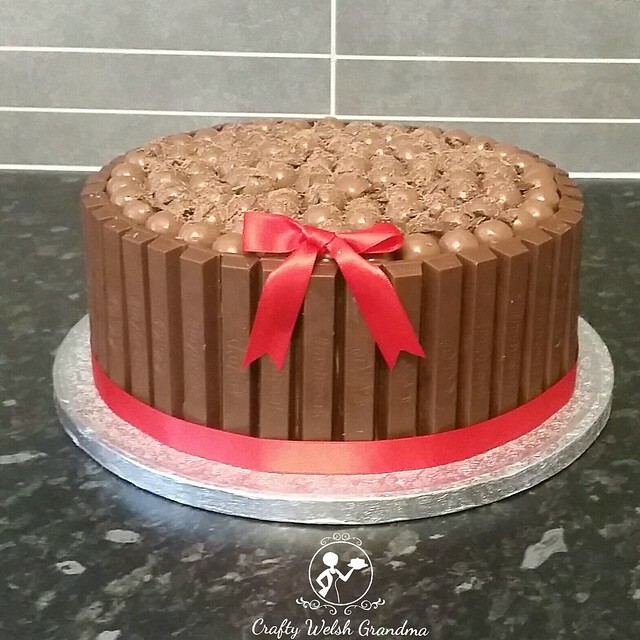 The reason why perfection is not key here is, the sides are to be covered with KitKat fingers and then topped with neatly placed Maltesers and sprinkled with dark chocolate shavings.